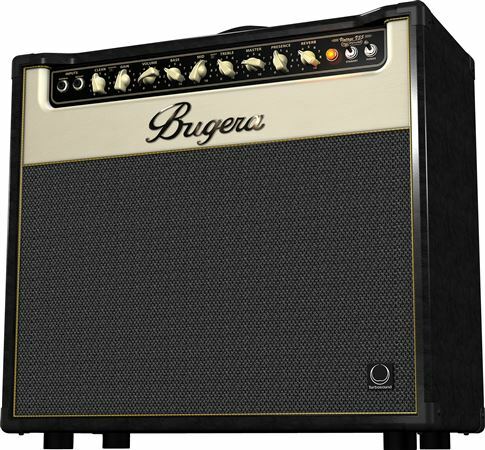 Shop Bugera Vintage V55 INFINIUM Guitar Tube Combo Amplifier from AMS with 0% Interest Payment Plans and Free Shipping. The VINTAGE V55 INFINIUM features true Class-A technology with a 3 x 12AX7 front-end and 2 x 6L6 tube power stage. A masterfully crafted all-tube combo amplifier, the V55 provides sweetly-balanced harmonics and natural tube compression, resulting in the warm distortion and break-up you’ve come to appreciate from those treasured vintage amplifiers of yesteryear. The hand-selected 12AX7 preamp tubes in VINTAGE V55 INFINIUM’s classic ‘60s-era preamp provide everything from sweetly-purring blues to mind-blowing crunch. The mighty 6L6 power tube is known for its crisp and driving tonal quality when pushed to the max, and the V55 harnesses every last ounce of that power to awesome effect. Years in the making, INFINIUM Tube Life Multiplier Technology can extend the usable lifespan of your amplifier’s expensive power tubes by up to 20 times, saving you huge money and ensuring the integrity of your tone. How? This revolutionary circuit automatically and continuously monitors the performance of each output tube, and dynamically drives it towards the target operating point, for an evenly distributed load. Adding to its impressive list of tone-shaping options, the VINTAGE V55’s high-definition Reverb puts the perfect finishing touch to your signature sound. Adjustable via the dedicated control on the front panel, you can finally achieve any sound you desire – from a subtle touch to the cavernous, natural-sounding reverberation of a large arena. Long life and impressive durability are ensured, thanks to the high-quality components and exceptionally-rugged construction found throughout. 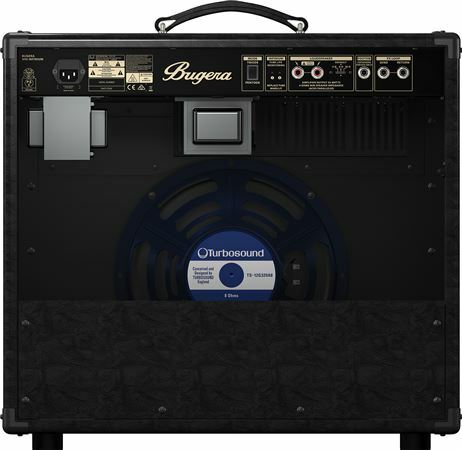 Designed and engineered by BUGERA Germany, the hand-built, 22-Watt, 2-Channel V55 INFINIUM comes loaded with a trio of 12AX7 preamp and dual EL84 power tubes; an amazing 12" speaker from world-famous TURBOSOUND; 2 independent channels; Reverb; dual-function, heavy-duty footswitch – and plethora of awesome signal-shaping options. This versatile tone-machine will easily earn its place as your go-to amp. Great sounding amp.Really nice tones,volume ok for smaller rooms.Has potential to be even better with the right tubes.Overall I was pleased and disappointed at the same time.The standby light flashed really fast after I lost considerable volume (power) on the clean channel.master vol on 6 clean channel on 3.I quickly put on standby mode the light stopped blinking then I turned main power off waited 5 min then turned amp on light at standby switch blinked rapidly again then went black.I talked to AMS support they were great gave me an RA# and told me to ship it back and they would get me a new one after they received the one I shipped back.The Main Fuse was blown also. Thinking it was the power Tubes that fried.It was a shame because I really loved the sound. Bought this amp thinking "wow 50 watts at that price?!?" Got it home and absolutely loved the tone. 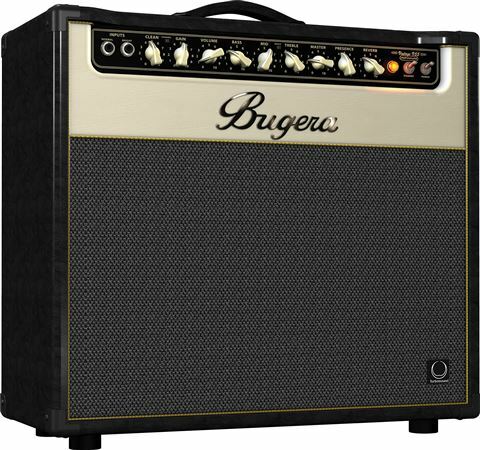 Took it to a gig and overheard someone saying Bugeras are cheap knockoffs that sound terrible. And for some reason that comment stuck with me. I'd been playing for 20 years and had never heard of Bugera so obviously they were right huh? Sold the thing, for a loss might I add, and bought a "proper" fender deluxe. All well and good then huh? Except it wasn't. 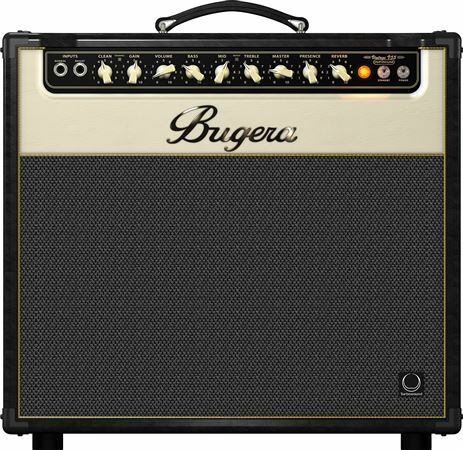 The fender sounded incredibly harsh and it lacked the thump the Bugera had. Needless I was able to return the fender and repurchase another Bugera. Are they cheap? Yes. Will you need to replace the tubes? Yes. But it's very simple and requires no biasing. Don't let tone snobs keep you away from a solid amp. I decided to upgrade to a tube amp and chose this one after playing around with one at Guitar Center. Its a very nice sounding amp, especially for the price. I have no complaints at all. For the price, it really surprised me for how well it sounded. I expected it to sound like a mid to lower level tube amp but it sounded like a middle high level tube amp. Much more than I expected,getting a high quality all tube amp for this low cost,just amazed me! This amp is equal to all tube amps costing 2 to 3 times more than what I paid & a much higher quality than I expected ! The clean on this amp is amazing, and takes pedals like a dream. The dirt channel can leave a little to be desired but once you replace the tubes its much better. This is a great amp. Has a little rattling on certain notes in one of the tubes. But I'll let a tech take care of that.